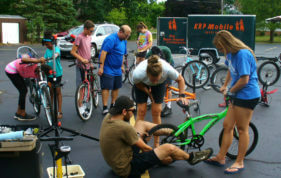 Supporting projects and programs that are making Michigan bicycling better. 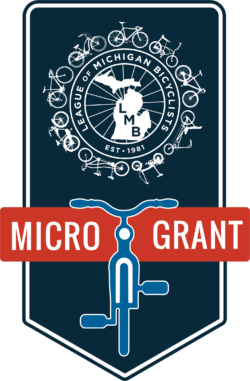 In 2017, LMB launched our inaugural Micro-Grant Program, opening up new funds to foster the growth of bicycling initiatives across Michigan. 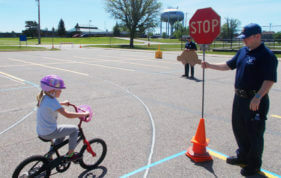 The Micro-Grant Program provides financial assistance to support the implementation of creative projects that promote bicycling and the safety of bicyclists on Michigan roadways. 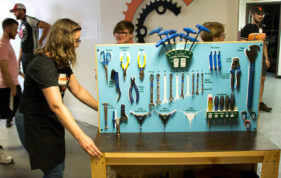 Ranging from $200-$2000, the Micro-Grants are small by design in order to support innovation and encourage groups who may have limited resources to dedicate towards fund development. In addition to like-minded corporate sponsors, LMB’s Micro-Grant Program is funded by the donations of members, tour riders, and Hero of the Road participants. Since 2017, LMB has supported more than 20 projects and programs around the state with contributions of more than $30,000. In 2019, LMB will put up to another $17,000 to good use through our partners in communities around the state. Applications are due on or before May 6, 2019. 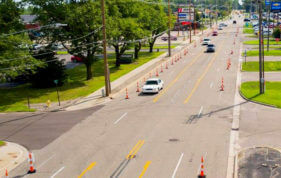 Micro-Grant funds are open to all Michigan 501(c)(3) nonprofit organizations. Individuals, clubs, or other entities without an official 501(c)(3) designation will be considered if accompanied by a fiscal sponsorship agreement with an established nonprofit. Grant applications from LMB members are given highest priority. Grants must be applied for in advance of the opportunity. Retroactive requests will not be accepted. Grants may not be awarded in each category. We will not favor applications based on category, so pick the one that describes your proposed project best. To apply, please download and complete the application below and send via email, along with a copy of your IRS 501(c)(3) designation letter or fiscal sponsorship agreement letter, to info@lmb.org on or before May 6, 2019. Optional additional documents, such as letters of support, may also be submitted via email. 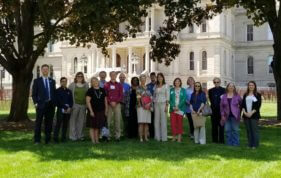 Micro-Grant funds will be distributed at a ceremony during LMB’s Bicycle & Trail Advocacy Day at the State Capitol on May 22, 2019. Grant awardees are expected to attend the ceremony. 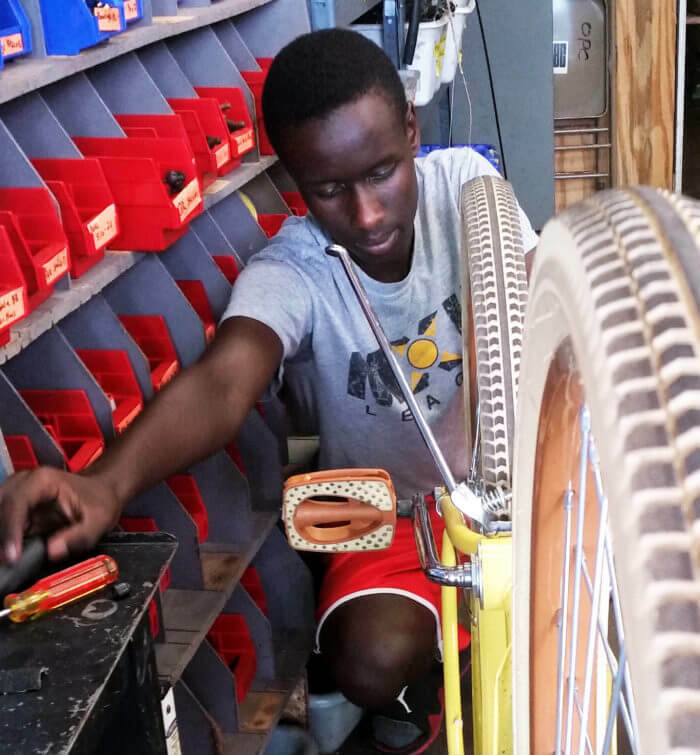 In the first two years of the Micro-Grant program, an overwhelming number of organizations requested help to accomplish bicycling projects across the state, from Traverse City to Grand Rapids, to Detroit, and beyond. 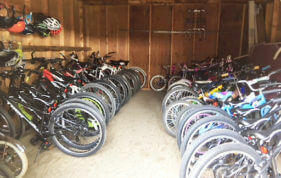 At the close of a short application window, the funds requested totaled over three times the funds LMB had available. 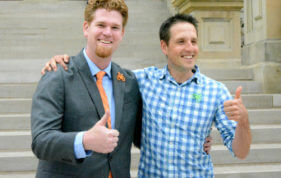 The submitted proposals aimed to promote bicycle safety, access, aware-ness, and education in innovative and inspiring ways. Almost every project needed only a small amount of funding to reach their goals. 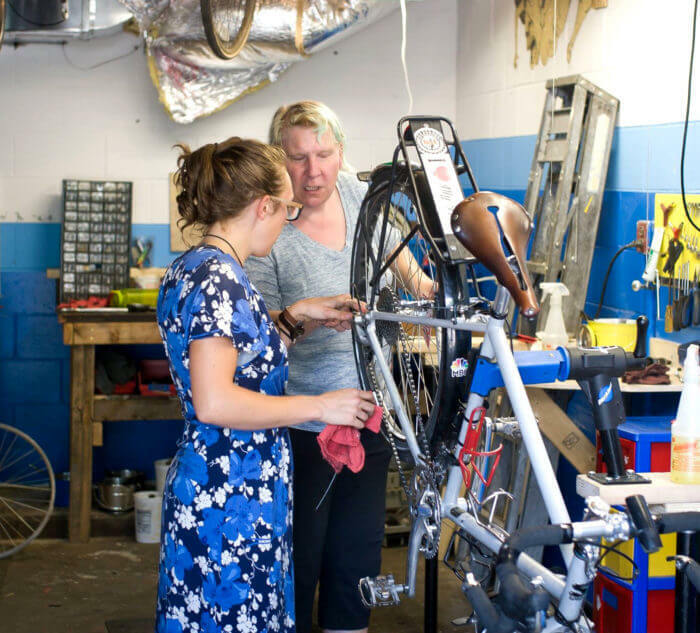 Despite being able to fund several amazing projects, the first years of the Micro-Grant Program demonstrated a clear need for more financial support for bicycling endeavors across Michigan. LMB hopes to grow the Micro-Grant Program to not only fund more worthy initiatives, but also increase the amount and number of funded grants each year. 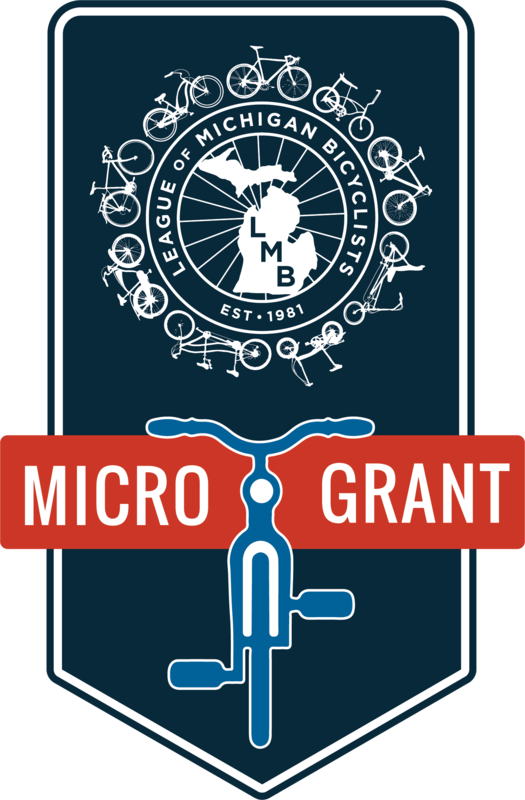 Currently, LMB’s general operating budget, primarily derived from proceeds from our bicycle tours, fund the Micro-Grant Program. 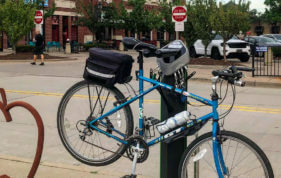 Though LMB will continue to contribute to the Micro-Grant Fund through our tours, we seek to partner with individuals, organizations, and businesses that share our passion and commitment to improve bicycling across Michigan and better meet the needs of communities throughout the state. To ensure the long-term sustainability, success, and growth of the Micro-Grant Program, LMB is offering an exclusive multi-year sponsorship opportunity. LMB is currently seeking sponsors committed to funding the program at $5,000 – 25,000 per year. LMB will prominently feature the Micro-Grant sponsor’s name and logo on future marketing materials, LMB’s website, member communications, and at award ceremonies. Individual awardees of funding will also be responsible to recognize sponsors on materials related to their projects. 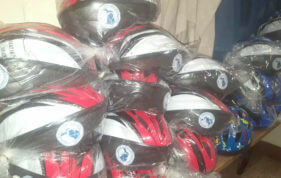 Additionally, LMB will feature our Micro-Grant sponsor in promotions of our bicycle tour program. 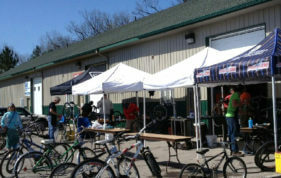 Since our tours attract riders from across the country, this offers sponsors a unique opportunity to reach a national audience. 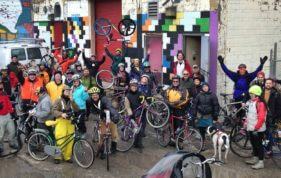 We hope you will join us in our efforts to make Michigan a more bicycle-friendly state!